by Tisha Naviqaq Kuhns, Geologist, Calista Corp. Lands and Natural Resources Dept. My parents taught our family to appreciate our beautiful culture, while also giving us the ability to see how it augments Western science and education. I was born and raised in Bethel, Alaska and recently became a Shareholder after inheriting shares from my grandfather, the late Joseph Lomack. Even before becoming a Calista Shareholder, I knew I wanted to dedicate my career to the corporation and serve the people of our Region. After graduating college with a bachelor’s degree in geology, I was hired by Barrick Gold Corporation for the Donlin Gold Project. During my 11 years at Donlin, I had been given further opportunity to expand my skillset and moved laterally into the environmental department to manage the water quality baseline program. Walking off the plane at the Donlin project, I was welcomed. I was able to use my technical skills but also had the deep family root connection to the Region; I was at home. Everyone at the project site worked with a sense of urgency to protect and address environmental standards. Every employee I had grown to know carried a sense of pride in what they did, whether it was the task of drilling, drillers assistants, cooks, geo-technicians, core sample processors, housekeeping, procurement or logistics. Their goals were aligned for the project—everyone going home safe and healthy every day, while committing to the safest environmental principles. The Donlin Gold Project has gone through a long and rigorous scientific sound review completed by our state and federal agencies, reaching a milestone known as the Record of Decision favorable to Donlin’s application. Today’s stringent standards and reviews create protections for Alaska residents, something that Donlin Gold has already proven with its excellent safety culture and environmental record. With any type of development there is human risk involved as well as impacts to the environment. For us as a Region, where and when do we take that risk? Our managers and employees at Calista, The Kuskokwim Corporation (TKC) and Donlin have shared the same concerns as our Shareholders, as many of us continue to subsist at our fish camps. Risk can be quantified by consistent data gathering and interpretation before any appropriate action can be taken. Impact significance determination can also be difficult to understand as there can already be contributing activities causing impacts prior to any type of development, and sometimes many of those activities can’t be pin-pointed. Some examples of this could be our sewage lagoons, landfills, pre-existing but not operating mines that are in clean up phases. Others could be natural chemical and physical weathering of our earth by floods, volcanism and earthquakes and forest fires. The Final Environmental Impact Statement completed by the U.S. Army Corps of Engineers has brought all factors for our review. In this case, Donlin has completed environmental baseline studies, aquatic studies, transportation, engineering and socioeconomic studies, and more. These evaluations are readily available at donlingoldeis.com. Job demand in healthcare and educational professionals have remained steady, but exciting job opportunity growth remains on the horizon with the Donlin project. Donlin Gold careers provide Shareholders and Descendants with a chance to compete in the workforce. A Shareholder hire preference provides the opportunity for us to enjoy earning an income with a very attractive work schedule that complements our subsistence lifestyles. In 2006 and 2007, Donlin hosted an impressive 93 percent Shareholder hire during the advanced exploration drilling campaign, displaying incredible effort, commitment and partnership by Calista, TKC and Donlin Gold. Calista takes pride in having a region with many villages and Shareholders, yet we all know jobs are hard to find locally. Our families can find it more difficult to succeed in the new way of subsistence life without earning an income. These career paths can only be successful if we are able to show that we are available, capable and choose to live a healthy life. Calista, TKC and Donlin Gold have created ways for us to educate ourselves and become prepared to earn employment through the Talent Bank and apprenticeship programs. The people of our Region are adaptable, talented and strong. 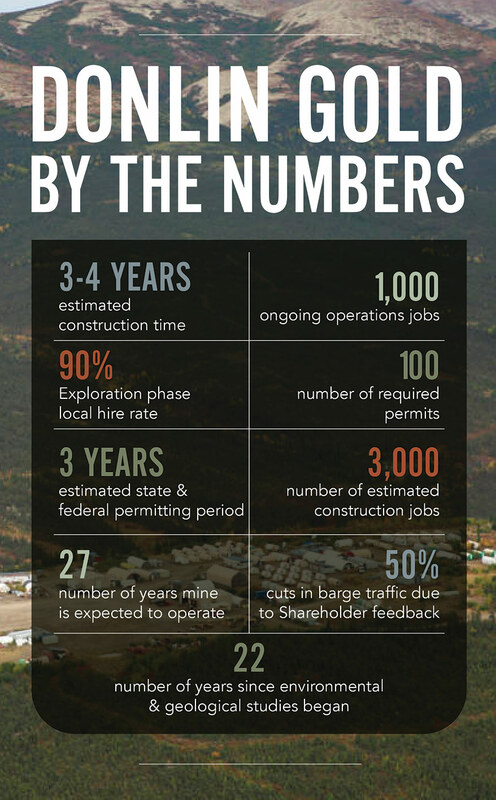 The Donlin Gold Project provides many opportunities for our Shareholders and businesses across the Region and state. It also fulfills Calista’s land entitlement for development under ANCSA and is our only natural land resource that permits our Region to participate in the world economy. 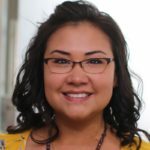 Just as NANA has the Red Dog Mine and ASRC has North Slope oil and gas production, Calista is seeing a positive, environment-led passion in development and infrastructure opportunities at the Donlin project. I am confident our strong workers and youth will succeed in life by joining Calista, TKC and Donlin’s efforts for a new and exciting workforce while continuing to enjoy our traditions. To do this successfully, we need people who know and understand our environment, so that best management practices and reclamation objectives are reached. As the Geologist at Calista, with years of geology and environmental and water quality baseline studies at the Donlin project, experience in placer mining and oversight of placer operations in the Region, I have seen operations receive excellence awards for reclamation by state and federal agencies. Responsible development is an absolute requirement for Calista and we are proud to bring revenues from our environmentally successful operations to our Shareholders.